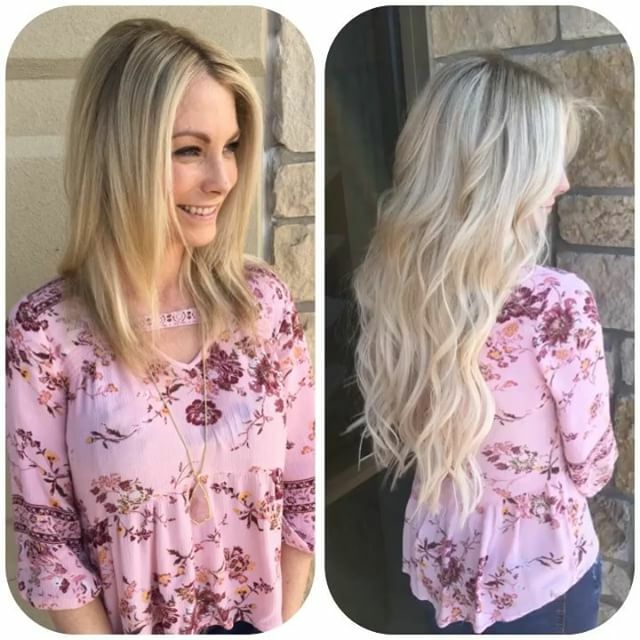 At Blonde Faith Salon, we offer several types of extensions as shown in our Gallery below including Tape-Ins, Microlinks, and Hand-tied wefts (Bohyme hair and Bombshell by Habit). 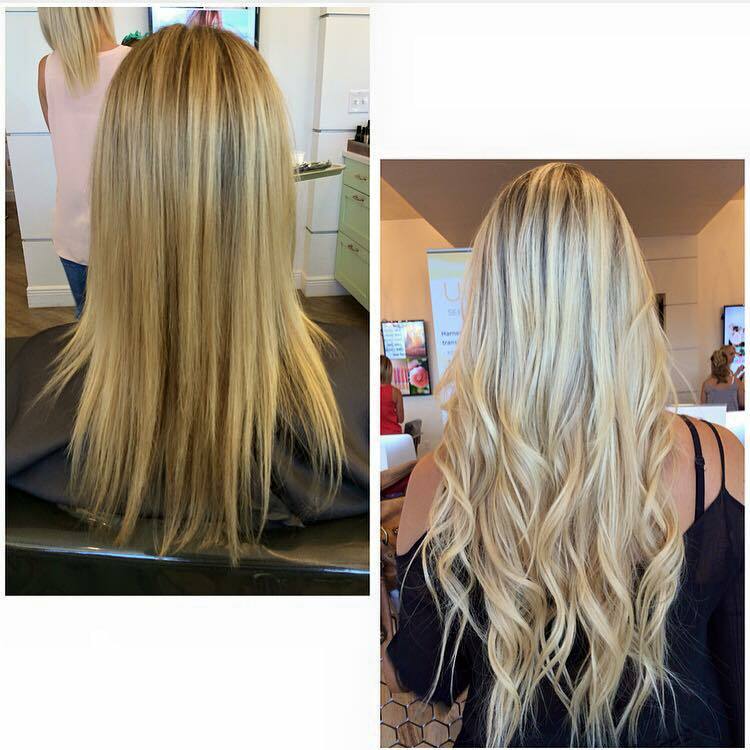 We also offer Halo Couture pieces that are removable and are custom color matched and cut to your existing hair. 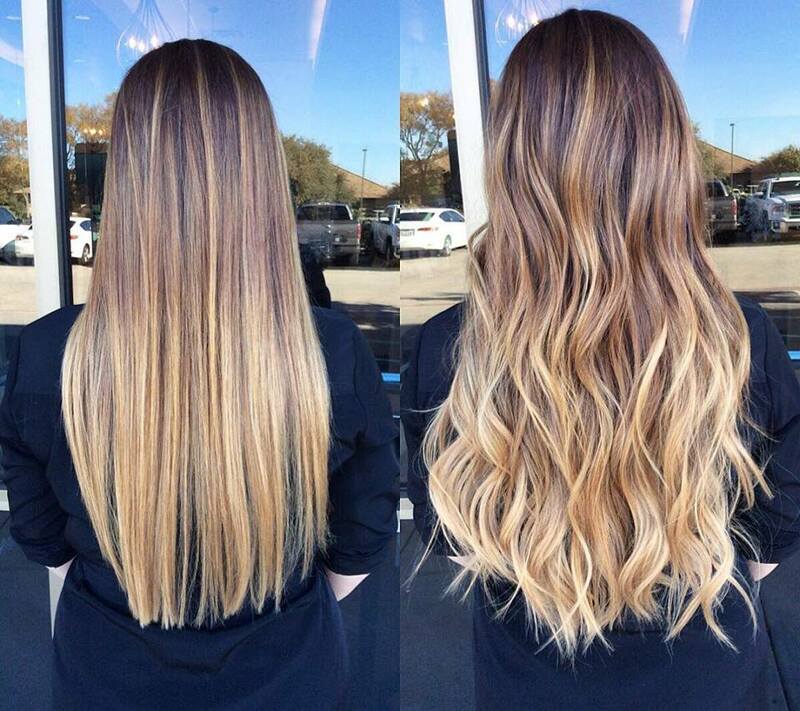 We can apply (or remove, refresh and re-apply) your extensions during one appointment. 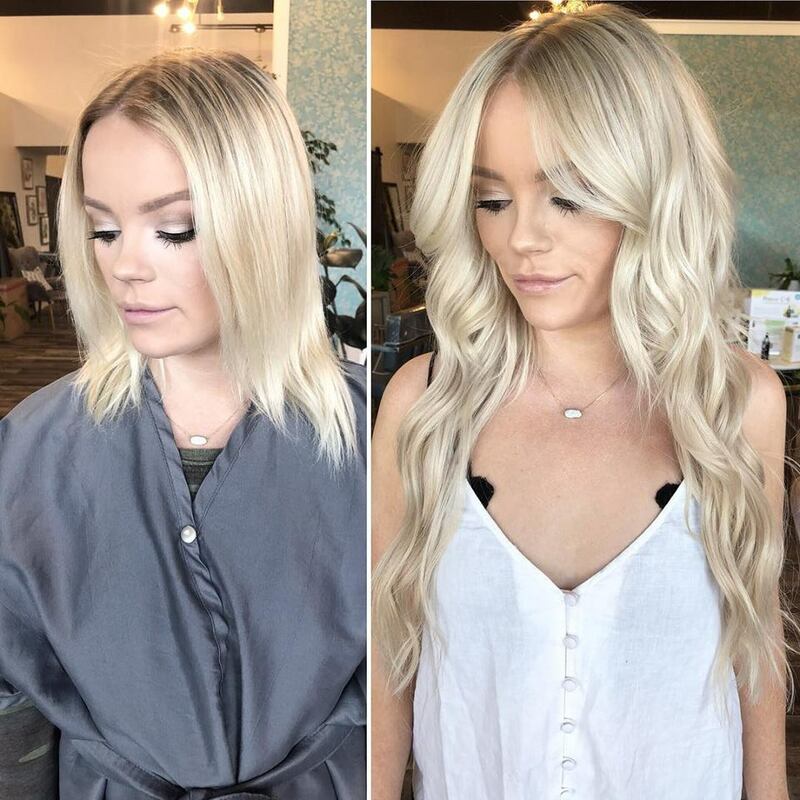 We can also perform your custom color and custom cut offering a total look that is perfectly customized for you. 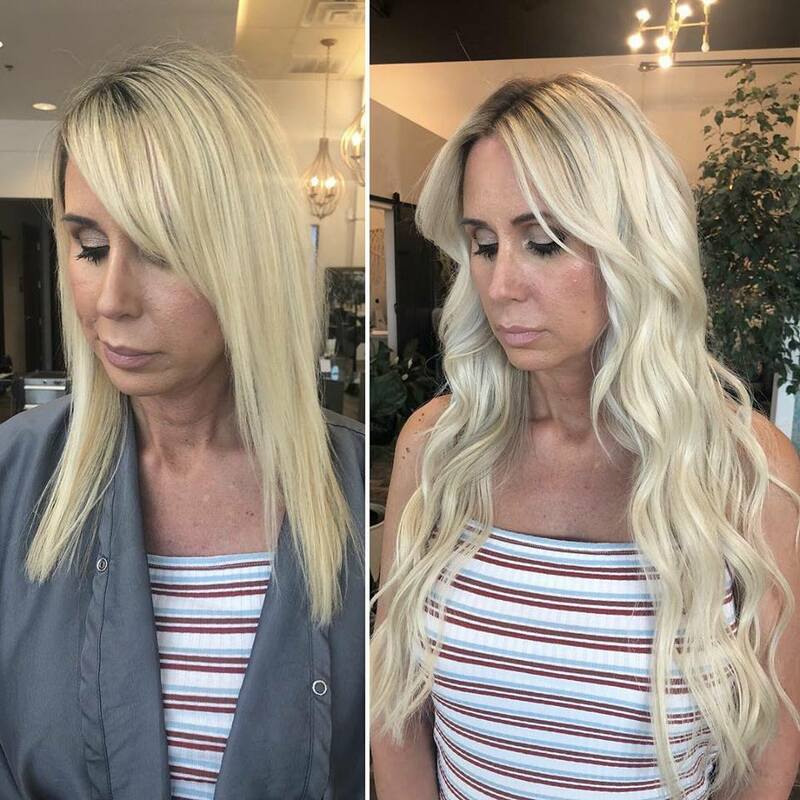 Hand-tied wefts are the fastest growing and most exciting advancement in hair extensions available today. 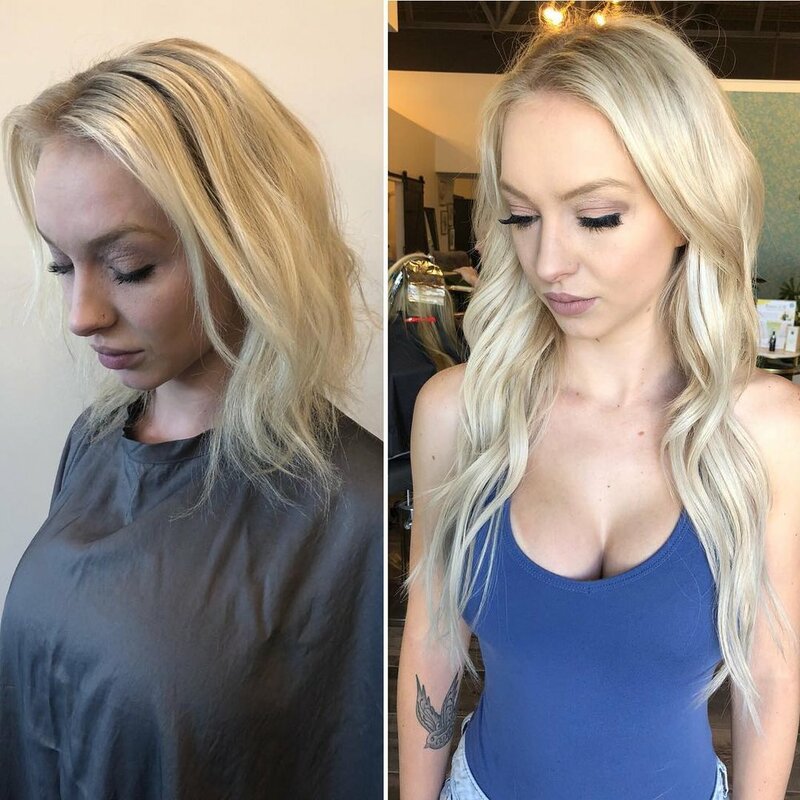 Michelle McGowan, Ashley Brooks and Lindsey Hansen offer our Hand-tied extension appointments as well as tape-in extensions. Ally, Ashley, Katie, Taylor, Peyton, Meagan S. , Michelle and Bridgit offer medical grade adhesive tape-ins. 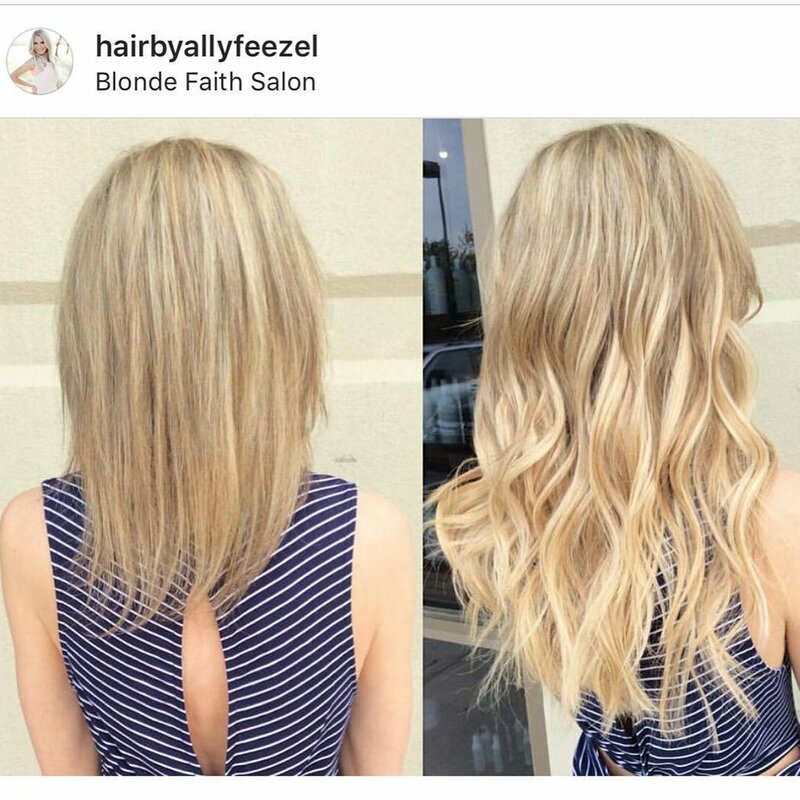 You can phone the salon for a consultation booking or Book Online 24/7 with Ally, Ashley, Katie, Taylor, Peyton, Lindsey, Meagan S. , Michelle or Bridgit for a custom color match, pricing quote and have all your questions answered as well as view actual sample of all the colors and hair brands available through Blonde Faith. Michelle also offers complex hair pieces including wigs and hair pieces customized for your needs. 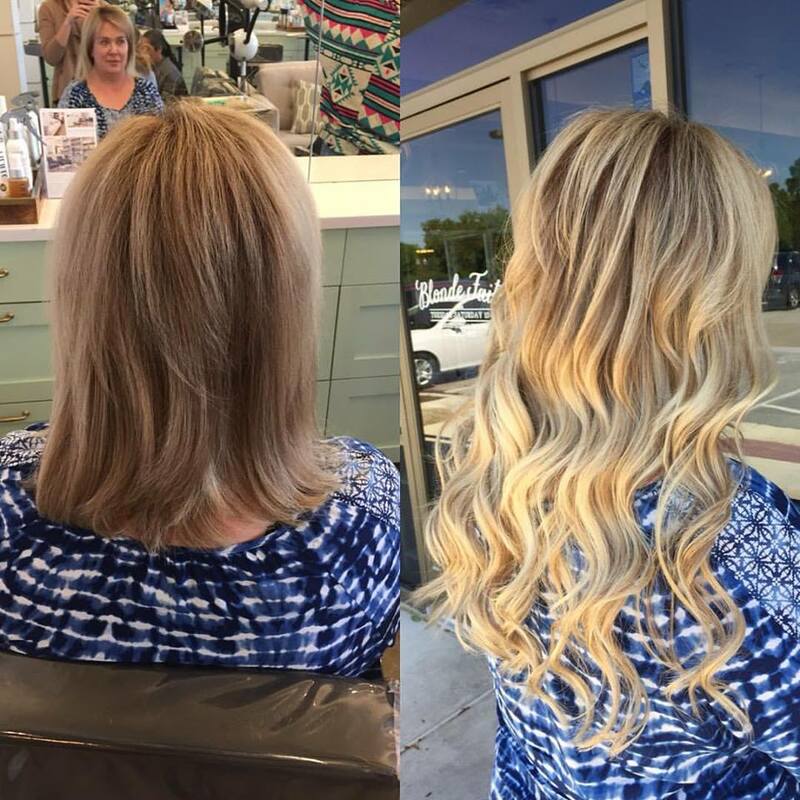 BOHYME (HAND-TIED WEFTS), HALO COUTURE, HAIRTALK, TRUMATCH and HOTHEADS AVAILABLE at Blonde Faith Salon!